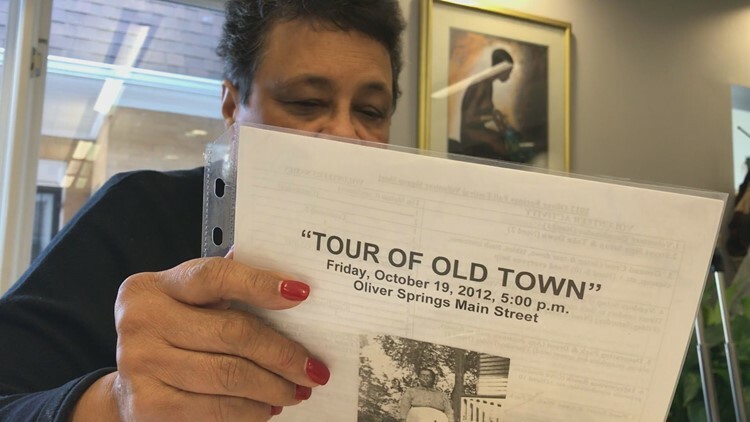 Protecting the Legacy is a statewide project put together by Chick History, Humanities Tennessee, Beck Cultural Exchange Center and the East Tennessee Historical Society. Julia Daniel said when she walked into the Beck Center on Friday, she didn't know her family's history would mean so much to the Protect the Legacy Project. "I'm here to share some history of women before the 1930s," Daniel said. Protecting the Legacy is a statewide project put together by Chick History, Humanities Tennessee, Beck Cultural Exchange Center and the East Tennessee Historical Society. Its goal is to collect untold stories of African American women who contributed to political and social movements prior to the 1930s. That objective is what led Daniel to bring in dozens of family photos, dating back to 1845 when her great, great grandmother was born. "She was a slave, Adaline Stapler Crozier, she was a slave and I wanted to share her history from slavery up til the present time," Daniel said. According to Daniel, Crozier would go on to have children, grandchildren, and decedents who would act politically. Beck Center President, Renee Kesler, said it's these stories that have to be uncovered in order to fill in the blanks. "I think for far too long those stories have gone unheard," Kesler said. "Those stories are as important if not more so as all of the stories of history and these are what I like to say, unintentional heroes." She said opportunities like the Protecting the Legacy Project give people a chance to recognize some of those heroes. "We have the opportunity to write our history to make our history and to share our history, so we cannot blame anyone if we do not share our story," she said. Protect the Legacy will have another opportunity for people to share their stories and family artifacts on Friday, starting at 10 a.m.